First, the man was one of deep integrity. Learning about the measures he took to abstain from certain sins or to keep his marriage and his ministry clean from scandal or even a bad reputation was remarkable. Anything remotely fishy, he worked tirelessly to keep away from. That’s a huge encouragement to me and I’m thankful that the Lord preserved him in that way. 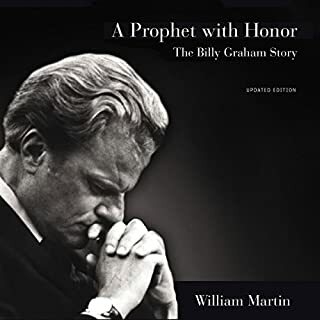 Second, I do not agree with Billy Graham on every theological point that he might have held, but every one of us could learn a thing or two from him on how to love others. He had this way of seeing and seeking the best in people, sinners though they were, and showing them an unconditional love without shunning them for their differences. He preached Jesus, and he did not budge on that, AND that did not keeping him from trying to persuade others with love. Something like that is very rare, this day and age. William Martin has done an amazing work here. I cannot imagine the time and effort that goes into a project such as this. Over 800 pages (or 36 hours of an audiobook), telling the story of a man who was seemingly larger than life. One who had a deep conviction for preaching the simple gospel that Christ saves sinners. He was never above that. And he never seemed to take his eye off it. Now and then you stumble across a book and early into the first few chapters say to yourself, "Yes, this is one of the good ones. This is one that won't leave me soon." 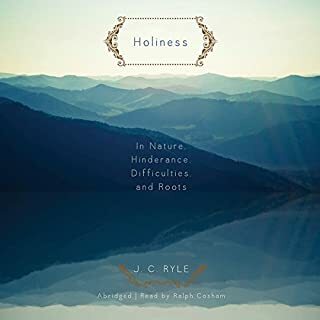 "Holiness" by J. C. Ryle is one of those books for me. Few things point us to Christ like deep, sound, biblical doctrine. Doctrine that glorifies and honors our King, Christ Jesus. For even a glimpse at some of those things, I highly recommend this book. The narrator was incredible as well. Before it was over I felt as though this might be how Ryle himself spoke. Great book all around.